Tech Drive-in has covered several posts on useful Google Chrome extensions before, the most prominent being the one where we featured useful Chrome extensions for a more secure browsing experience. But this one is special. 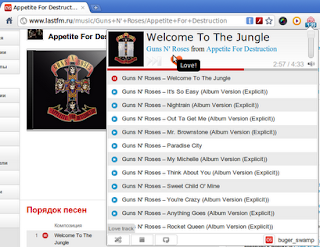 A Last.fm music player extension for Google Chrome that does exactly what you expect it to. Last.fm music player Chrome extension lets you play and enjoy streaming music for free from your Google Chrome web browser. It supports Last.fm scrobbling as well. The only problem being the lack of support for Chromium browser. If you are using Chromium in Ubuntu, you need to install 'chromium-codecs-ffmpeg-nonfree' package to get the Last.fm music player chrome extension to work properly. Only if you are using Chromium in Ubuntu instead of Google Chrome, you need to install the package discussed above. Otherwise, go to the link given below. Somehow I am not able to make it work in Chromium even though it works well in Google Chrome. May be I need to restart my browser or something. 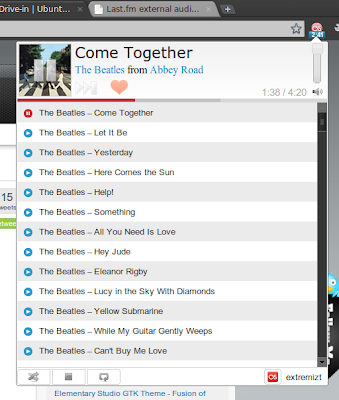 Join me on Last.fm.